(Publicăm varianta în engleză a investigației marca Jurnalul Săptămânii - Oamenii oligarhului, în schema miliardului). Today we announce the beginning of a new media campaign in the Journal of Week - who, when and how did involve in the ”bank robbery of the century”. 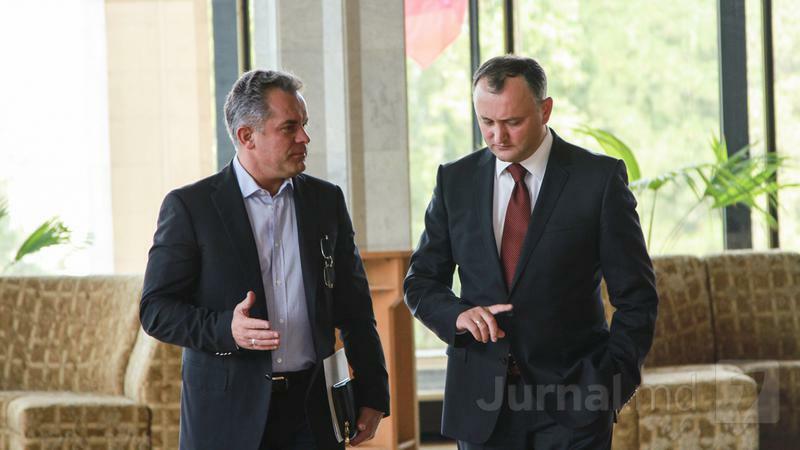 At least two representatives of Vladimir Plahotniuc left deep signs in the theft of a billion of dollars from the bank system of the Republic of Moldova. One of them declares that he was used by corrupted bankers and politicians of Chisinau. The radiography of companies involved in the bank robbery of 2014 brings to light the fact that the persons who appear in this scheme are also present in other big scandals. In all the cases it is about the acolytes of oligarch who is the president of the Democratic Party. Viktorija Zirnelyte. Accountant specialized in establishment and administration of companies in fiscal paradises on behalf of anonymous persons. She was representing the interests of Vladimir Plahotniuc in the offshore company Maxpower Invest Limited between 2011 – 2012 years. Participant to the establishment of the company Fortuna United LP – final destination of money stolen from the Moldovan bank system in November 2014. Fortuna United LP is a an offshore company of Great Britain, registered in Scotland which according to financial detectives of the international agency Kroll signed on November 26, 2014 a contract with Social Bank. A Sale-Purchase Contract with a huge value of 18,3 billion MDL. The transaction object constituted the credit portfolio of five companies affiliated to Ilan Sor with total value of 13,7 billion plus the percent which followed to be paid by debtors and an earnest payment of 3 percent of the whole amount. The essence of this procedure consists in the fact that the companies of so-called Sor Group had no more debts toward the Social Bank and their loans followed to be fully paid by Scottish Fortuna. The offshore company has paid from the whole debt an earnest payment of 3 percent, and namely 551 million MDL. Kroll auditors have accentuated an important aspect referring to this amount of money. They have emphasized in their first report elaborated for the National Bank of Moldova that probably those 551 million did not come of financial activities of Fortuna, but also from the credit portfolio which the Scottish entity bought from Social Bank. Evidence in this sense exists in the summary of the second report realized by Kroll. After following the whole route of money, the financial detectives identified that from the total value stolen by the group of companies of Sor, 39,2 millions of dollars were transferred to Fortuna United. Today, there is no-body who will return back the debt. The Scottish company is in a winding-up procedure. The fiduciaries who have established it announced British authorities about their partnership dissolving on March 2, 2017. It is like a farmer who has a permanent client and he sells products him/her permanently in credit. He gives him/her a flour sack and he receives back a small part of his product, an earnest payment. He borrows again him/her a flour sack and he receives back a certain quantity of the same product. And this continues until the buyer gets the full storage in credit and the farmer – the empty granary. Here appears a new client, for instance a British citizen with the residence in in Scotland who volunteered to pay the credits, but also in rates. The Scottish citizen returns back a small part of the flour of the person who grew the wheat, takes everything that remains in the storage and disappears. The role of deceived farmer was played by those three defrauded banks and Ilan Sor had the role of client abandoned to interminable sacks of flour in credit. Little is known about the company which played the final part. Fortuna United, phantom-company which bought the right to collect from Sor group the debt of more than 13 billion MDL, plus about five billions as percent, was registered with legal address in this building with three floors in Edinburg, Scotland. With three months before the transaction with the billions of the Social Bank. The registration documents of the economic agent were filed by another company, Royston Business Consultancy Limited, being represented by two partners, original from Lithuania, Remigijus Mikalauskas, a person we will speak about later and Viktorija Zirnelyte an ex representative of Vladimir Plahotniuc. „A modest apartment with two bedrooms, on the ground floor of the building in the North part of Edinburg accommodates the mysterious company which has the right to collect the big amount of money which is supposed to be stolen from the ex- Moldovan Soviet Republic” – the journalists of BBC wrote in 2015 in an investigation about thousands of companies registered on the same address and wit the offshore holder of rights over the billions of MDL disappeared from the Moldovan bank system. 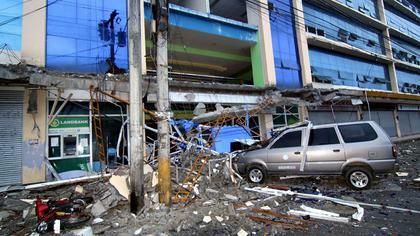 According to the quoted source, the apartment belongs to Viktorija Zirnelyte, original of Lithuania. We are dealing with a person who is specialized in opening companies and their administration for the benefice of some anonymous persons. It is a wide spread profession in the world of business, especially in the case of business of fiscal paradises and these persons are named also consultants for corporative business, administrators of accounts, directors/ nominal shareholders or simply, „fiduciaries”. They serve as a screen for the real owners of companies. Through the clients who were „covered” by Viktorija Zirnelyte with her name during her career is at least a citizen of the Republic of Moldova. 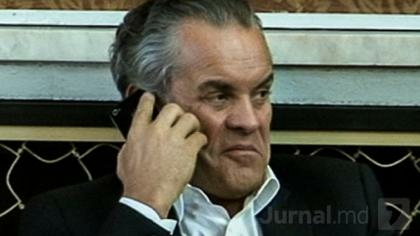 It is the oligarch who is the president of the Democratic Party, Vladimir Plahotniuc. Zirnelyte represented his interests in the British offshore Maxpower Invest Limited, company where she had the position of nominal director between April, 2011 and May, 2012. In the middle of this period when she was administrating the offshore Maxpower, Zirnelyte signed a declaration where she disclosed the information about who is the real beneficiary of the company. In this document she mentions the fact that the shares of the company fully belong to Plahotniuc, Moldovan oligarch who has also Romanian citizenship. 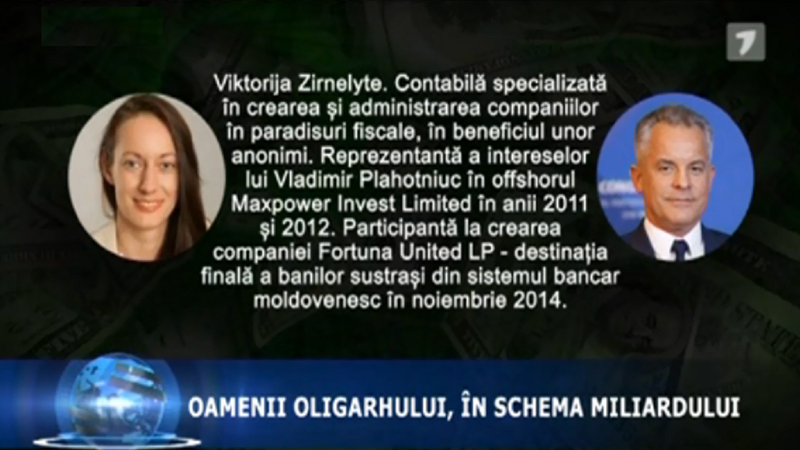 It is not a common practice that a fiduciary to disclose the information about the client, but Zirnelyte was obliged to do this action by the British justice in a process of raider attack produced in the Republic of Moldova in 2010 at Victoriabank, inclusively with the participation of the offshore of Plahotniuc, Maxpower Invest Limited. That taking over was or not fraudulent, as stated then ex shareholders, it is a separate subject which is still investigated abroad of the Republic of Moldova. The fact we wanted to underline by drawing attention to the scandal of Victoriabank of 2010, is that some of fiduciaries who appear in that file, appear also in the file of bank fraud produced in 2014 at Banca de Economii, Social Bank and Unibank. We speak about directors/nominal shareholders to whose services during the time made appeal Vladimir Plahotniuc. 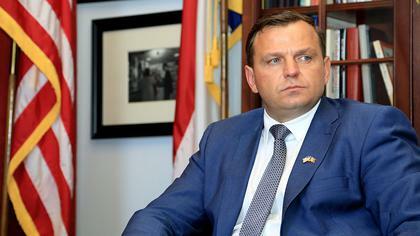 Besides Viktorija Zirnelyte who in 2011 represented the interests of Plahotniuc in Maxpower Invest Limited and in 2014 participated to the establishment of offshore Fortuna United which assumed from Social Bank the debts of Sor Group in the scheme of „billion theft” meets at least with one more fiduciary of Moldova oligarch. This time we speak about an accountant original of Cyprus with the residence in Edinburg with several offshore companies opened on his behalf in Great Britain - Marios Papantoniou. Marios Papantoniou. Accountant specialized in establishment and administration of companies in fiscal paradises. He represented the interests of Vladimir Plahotniuc in offshores Financial Investments Corporation Limited and Victoria Invest Limited. He has collaborated at least for 10 years with the oligarch. At the same time he has participated to the establishment of several companies which are involved in the scheme of the theft of Moldovan bank system. Name of this fiduciary appears twice in the first report realized by the international company Kroll on bank fraud of the Republic of Moldova. The first time Papantoniou appears as the representative of one of 21 buyers of shares to Unibank, in 2012, on the stage when taking the control over this fiduciary institutions. We mention that it was one of the initial phases of fraud scheme followed in 2013 by taking the control over Social Bank and Banca de Economii and in 2014 – by taking out money from those three institutions through fraudulent credits. 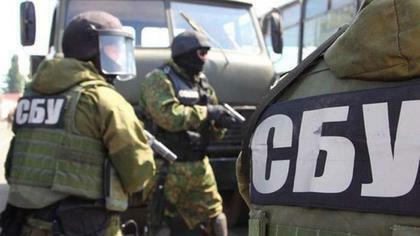 The second time, the financial detectives employed by NBM to investigate the theft of Moldovan bank system mention Papantoniou in the context of his activity in the offshore Axiano Ltd., which is supposed that has participated in another big international scandal broke out in 2014, - laundry of more than 20 billion dollars came from Russia which involved a group of the Republic of Moldova and our judicial system. As Viktorija Zirnelyte, Marios Papantoniou is an accountant specialized in establishment of companies for persons or entities who want to remain into shade. Several offshores registered on behalf of the Cypriot or founded by other his companies have participated to the big scheme of money theft of the NBM, Social Bank Unibank. We will enumerate just some of them. From those disclosed in the first Kroll report, one is Manitoba Management LTD, that we said above that bought in 2012 a package of about 5 percent of Unibank shares, thus participating to taking control over the institution by a group of persons and companies affiliated to Ilan Sor. Marios Papantonio is the person who has founded the company some months before the purchase and further he administered it in the position of director and shareholder. Another one is Rosslyn Trade LLP, company which borrowed to ex-president of the Republic of Moldova, Petru Lucinschi a part of money necessary for purchasing another package of about 5 percent of Unibank shares. Documents for foundation of Rosslyn Trade LLP were filed in 2012 by British company Lawsons & Co. LLP which at its turn is managed starting with 2007 by the Cypriot from the Kroll report, Marios Papantoniou and his wife, Ishbel. Another company founded with the contribution of the company of Papantonio, Lawsons & Co., is Harrogate Consulting LP which is mentioned five times in the first report executed by Kroll on participants to the theft of Moldovan banks. Harrogate played also the role of creditor but for other three buyers of shares of Unibank through which the notary Olga Bondarciuc who is considered a fiduciary of Vladimir Plahotniuc. The Cypriot also has founded the company Harwood United LLP which credited other two buyers of shares through Reghina Apostolova, Orhei deputy mayor, party colleague of Ilan Sor, the person who recently manifested the will to become mayor of Chisinau. The list with the participation of Papantoniou in the scheme can continue, both with companies mentioned by financial detectives of Kroll and with companies involved in numerous transfers with stolen money whose names were mentioned in the actions initiated by prosecutors in the file of bank fraud. Several companies established by the company of Marios Papantoniou, Lawsons & Co. appear in the decisions issued in the files in which the ex-Prime Minister Vlad Filat, ex-Deputy, Chiril Lucinschi and businessman Veaceslav Platon. The role of these non-resident companies could constitute the subject of a separate investigation. For the time being we will limit to underlying the fact that the fiduciary Marios Papantoniou has established several companies involved in the scheme of bank theft. At first sight these companies make part or are affiliated to Sor group. 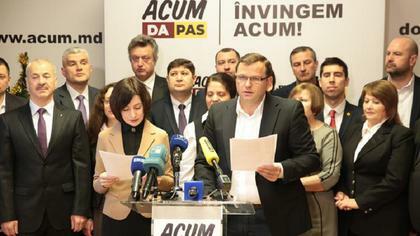 But Papantoniou has an elder client in the Republic of Moldova - the oligarch Vladimir Plahotniuc. One of the company through which the Cypriot mentioned in Kroll report sells his services is called Axiano Company Secretaries Limited. At its turn it has established for the benefice of Plahotniuc another offshore - Financial Investments Corporation Limited. On November 18, 2004 the fiduciary has signed a declaration where he mentions that he has only the role of nominal shareholder and that the real owner of the managed company is Vladimir Plahotniuc. The collaboration between those two did not finish in 2004 and it did not limit only to a single company. Papantoniou also worked for Plahotniuc in offshore Victoria Invest Limited, another actor in the scandal with the shares from Victoriabank obliged by British justice to disclose the final beneficiary. According to a declaration signed on December 20 by the nominal shareholder of this company, the final owner of the company is the oligarch which is the president of DP. And those who administrated the accounts of offshore starting with the establishment up to dissolution in 2014 are Eftuchya Turnbull and his son-in-law, Marios Papantoniou. The woman was the one who filed the documents of establishment and had the position of nominal director during the time and the man later involved for dissolving the entity. Name of Marios Papantoniou appears in documents concerning closing the company Victoria Invest Limited which dates with 2013 and 2014. 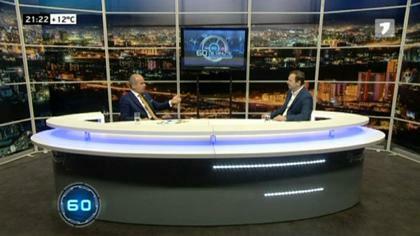 It results that while collaborating with companies and persons of so-called Sor Group, the fiduciary with Cypriot origin simultaneously was cooperating with Plahotniuc. Until now we have enumerated two fiduciaries of Vladimir Plahotniuc who also appear in the scheme of bank fraud - Viktorija Zirnelyte and Marios Papantoniou. They were colleagues in the company Lawsons & Co. in the period 2007-2014 and it seems that they are still collaborating. Their services were also used in another big scandal. We speak about the scheme of raising tariffs for electricity through the company from Transnistria, Energokapital. Journalists of The Black Sea platform published in 2016 an investigation where they showed that one of offshores which established the entity of Tiraspol is the Scottish company Energy Assets Development LP. This offshore was established in 2012 with the contribution of the company of Papantoniou and in 2017 it was dissolved, the documents being presented by the company of Zyrnelyte, the same company which was used for the registration of the company which bought non-performant credits through which Banca de Economii, Social Bank and Unibank were ruined. Both Fortuna United which is involved in bank fraud and Energy Assets Development involved in the Eenergokapital scheme has for a period the same legal address – the apartment of Zirnelyte, Edinburg. Here we will speak again about the partner of Zirnelyte of Fortuna United whose signature appears on the documents of both companies mentioned above, Remigijus Mikalauskas. His name appears in the first report of Kroll auditors. Both, in the final part of the scheme realized through Fortuna United and in the initial phase – the one when taking the control over Unibank. The Lithuanian was through the representatives of those 21 buyers of shares affiliated to Sor Group. Circumstance in which it results that at the back of the whole machination from the very beginning up to end stay the same persons who hide behind screens. At least two of these screens were previously used by DP President. If this finding would be an accidental coincidence, it would mean that from thousands of fiduciaries who exist in the world are ready to register their name on behalf on any company, authors of billion theft and those of Energokapital scheme decided to use exactly the fiduciaries of Vladimir Plahotniuc. These are the comments made by Papantoniou. He didn’t answer who was the person authorized him for establishing the companies which were used in fraudulent schemes and he ignored the discussions about his collaboration with Vladimir Plahotniuc. Previously Victoria Zyrnelyte also made declarations in press where she declared that she and her partner Remigijus Mikalauskas don’t know anything about the money stolen from the Moldovan banks. She also refused to disclose the identity of the final beneficiary of Fortuna United, the one, if identified should have return back money stolen from the Moldovan bank system. We tried to find out from the officials in charge for the criminal investigation in the billion theft case if they examined the involvement of fiduciaries of Plahotniuc in the scheme of theft and if the President of DP has ever been heard in this file. Speaker of Anti-Corruption Prosecutor's Office, Anastasia Mihalceanu received the request of the reporter of Jurnal TV, but still no answer has been offered. 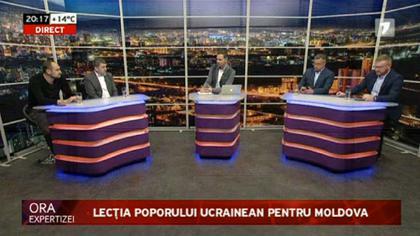 Vladimir Plahotniuc was not able for comments. He doesn’t interact with press even when organizes the regular briefings at the head office of DP where he comes in front of cameras only for declarations and he doesn’t accept questions.... Even his mobile phone is not available... And generally he avoids the situations where he should answer to questions. For instance, if the reporter of Jurnal TV is waiting him near the building he lives, the controversial politician avoids him using other exits of the yard. The presence of Plahotniuc in the file of bank fraud doesn’t limit to the presence of his fiduciaries. Through the payments made by his companies to Ilan Sor with the money credited from those three banks are also two transfers to the lawyer of Boston who is from Ukraine, Val Gurvits. 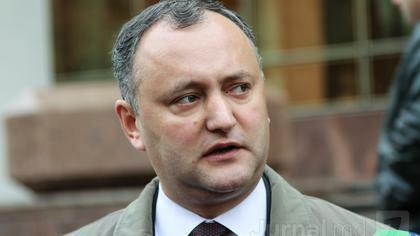 The person who in 2012 appeared in a press-release in Chisinau as the representative of Vladimir Plahotniuc. The information about these payments of about 61 thousand dollars are in the copies of bank extracts of Hezburg LLP offshore which was recognized by Ilan Sor as being his. 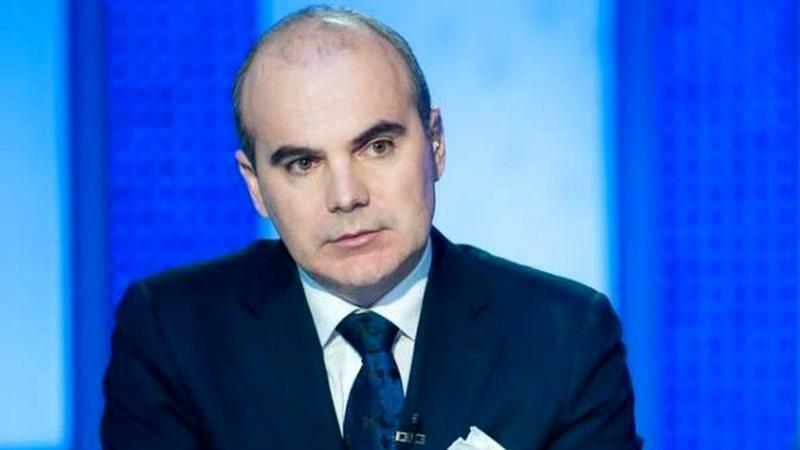 The documents which were shown to press by the lawyer of Veacelav Platon, Ion Cretu and as an evidence of the fact that even the prosecutors have these cash flow statements can serve the conviction decision in case of Chiril Lucinschi. 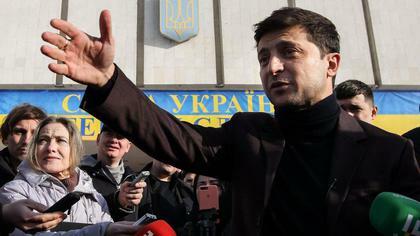 The prosecutors invoked here several transfers from the account of Hezburg to companies attributed to the former deputy. Information on two transfers is identified on the same pages of the flow cash statement as well as data on payments made to the lawyer of Vladimir Plahotniuc. We have tried to contact Ilan Sor who is the convict in the file of bank fraud, whose testimony underlies the accusation of prosecutors in the case of the rest of convicts. The questions sent to his speaker on involvement of representatives of Vladimir Plahotniuc and the role the oligarch played personally in the theft of the billion remain still without answer.